A new tablet from popular Korean manufacturer has been launched, the Samsung Galaxy Tab 3 Lite. The tablet comes with 7 inch capacitive touch screen display with 1024 x 600 pixels resolution. It features 1.2GHz dual core processor paired with 1GB of RAM and Android 4.2 operating sytem. Overall the specs of the tablet are quite nice, specially when it comes at affordable price. It houses dual 2MP camera placed at rear and front. Samsung has pre-loaded many apps to make the tablet approachable. It is 9.7mm thick and weighs 310 grams. It has 3G, WiFi b/g/n, WiFi Direct, Bluetooth 4.0 and GPS plus Glonass. There is 3600 mAh battery to make the Galaxy Tab3 Lite alive. It has 8GB of internal storage and 32GB of internal storage. It not known yet, whether the 3G variant has voice calling features or not. 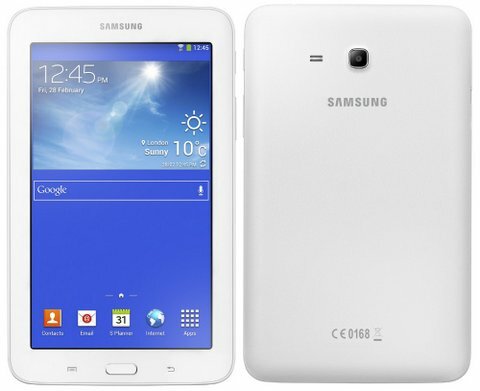 The company has not announced the pricing of the new Samsung Galaxy Tab 3 Lite. It comes in two colors white and Black. It would be priced under RS 12,000.